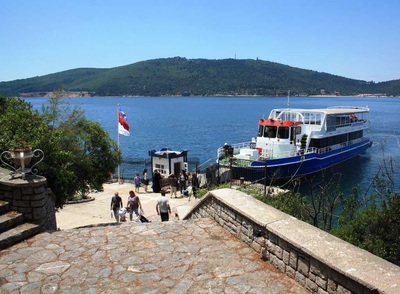 There are many various islands occurring Princess Islands like Buyukada, Heybeliada, Burgazada, Kinaliada, Kasikadasi, Sedefadasi and Sivriada. 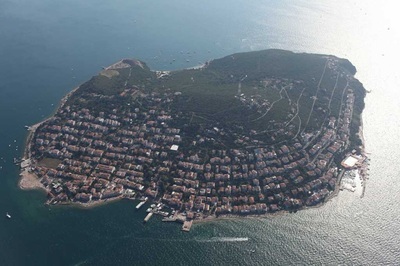 Being the largest island among the Princes' Islands in the Marmara Sea, Buyukada (Big Island in English), pearl of the Islands covers a field of 5.4 km² and the nearest distance of the island to Maltepe shore is 2.3 km. 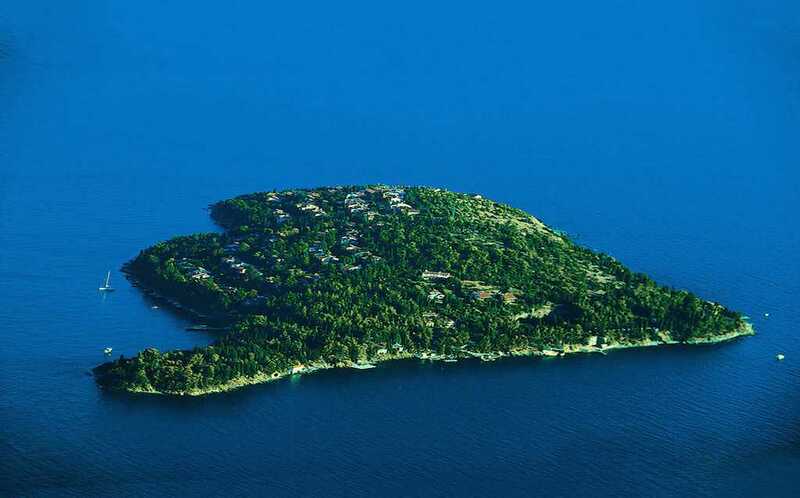 Since the year of 2000, population of that magnificent island has approximately 7,335 together with Sedef Island. Divided into two districts named the Nizam and the Maden districts, Buyukada composes of two peaks with many cliffs. The peak located on the southern part of the island is named “Yorgi Peak” and the other is called “Hristos Peak,” which is placed on the northern proportion of the island. Dil Burnu (the cape) stretch at the distance of 500 m across on the western side of that charming isle. Nizam koyu is situated on the northern side of Dil Burnu and Yorukali Plaj (beach) is located on the southern part. One of the most significant locations of worship of the Buyukada is the Hristos Monastery found at the top of the Jesus peak. Another special structure the Ayios Dimitrios Church which was a place orgqanized by Orthodox Christian islanders religious ceremony is found on that beauty island. A Jewish Synagogoue is located in the Kumsal district and the Hamidiye Mosque was built by Sultan Abdulhamid II (1842-1918) in 1895 here. Moreover, there are many churches built generally by Orthadox Christians on the island. Two of those churches belong to the Armenians and Latins. 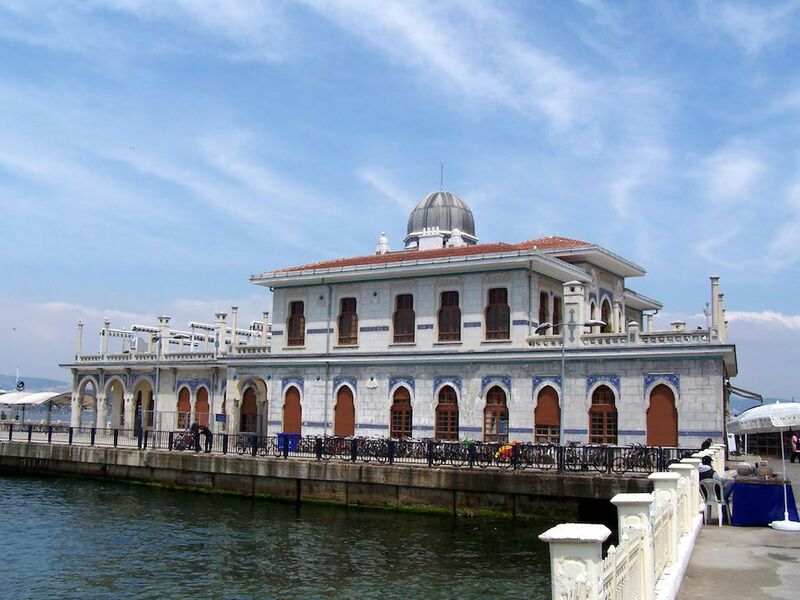 After Muslims began to settle on the island, mosques were established. In adition to these places of prayer, there were made several historical holy water springs named “Ayazma.” Other breath taking places on the island are Ayios Konstantinos, Ayia Fotini, Ayia Paraskevi, and Ayios Yeorios that are considerably visited by tourists today from past. Once upon a time, that natural wonder island used for many different purposes. 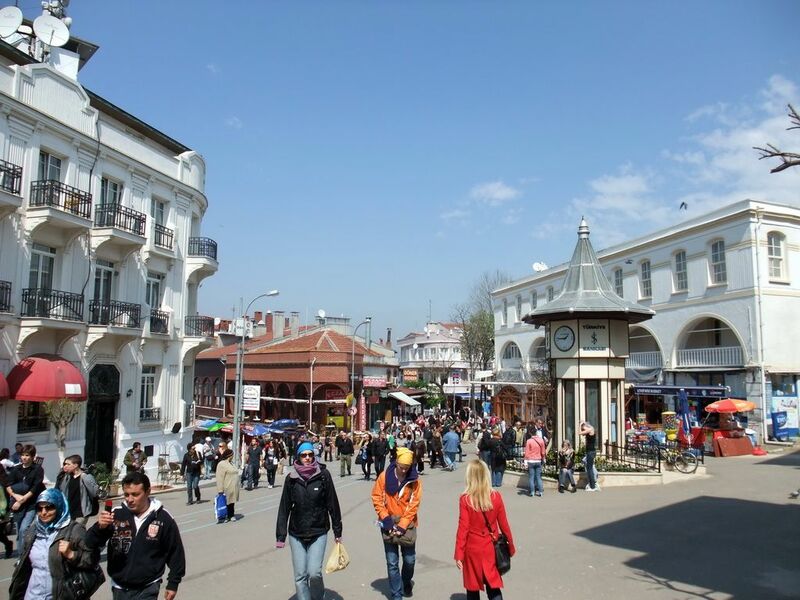 For example in Byzantine Christian Era, Büyükada was an exile location; all guilty people such as the close relatives of kings and statesmen who threatened their political power by competing and the people who rebelled the state were sent that island to exile as a punishment. Additionally, it was used as a monastery location which was a kind of jail and seclusion. That convent place, one of the oldest structures on the island hosted some Byzantine Empress and clergymen had to live here all lifelong. There was also another monastery called Women Convent (Kadınlar Manastırı in Turkish). Built by the Byzantine empresses, Irene, that grand monastery was an exile destination for her. At the beginning, 3,000 people lived here in the 19th century, but with the starting to usage of boat services in the second half of that time, the numbers of the population in the island were increased over. 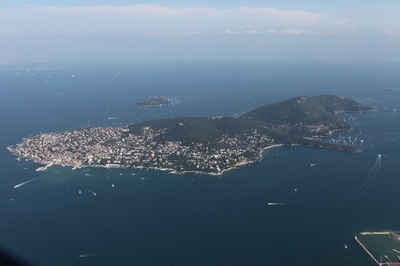 Including Ottoman intellectuals, authors, and the Greek community, that sweet isle was an attractive living settlement. For the centuries, that enchanting place inspiring many artists attracts the visitors with its unique nature and fascinating landscape, seacape. 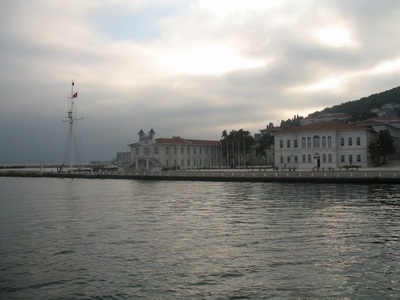 After the declaration of the constitutional monarchy in 1908, Ottoman Sultan Abdulhamid II (1842-1918) ,his ministers and generals settled on the island to live here by building villas and waterside residences which symbolize a wealth and glossy sight. In addition, a prominent politician in the period of Lenin (1870-1924) Leon Trotsky was exiled from Russsia in the Stalin time(1879-1953). 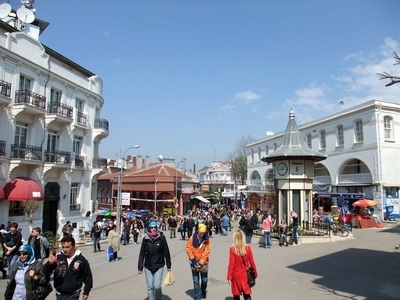 He stayed four years on Buyukada. 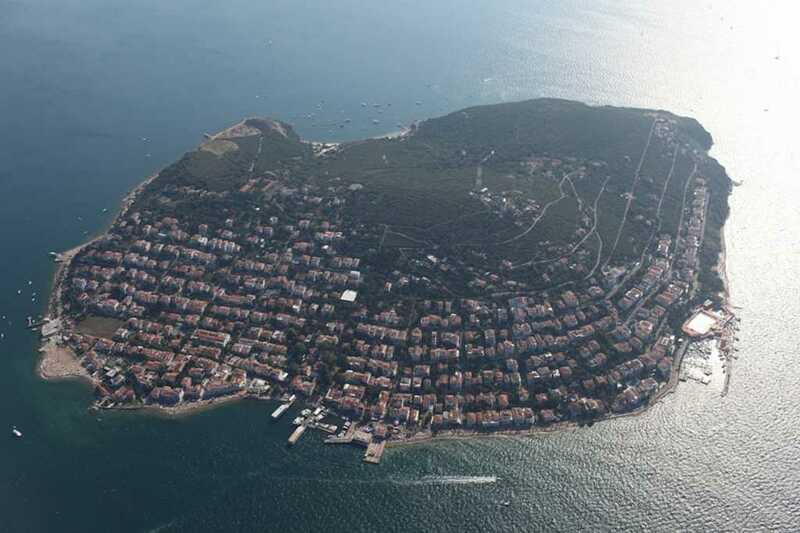 In the 1920s, in order to save themselves from the Russian civil war, many Belarussian people came to Istanbul and they were placed on this island. As a result of those situations, it creates a cultural diversity and harmony of the island, and today the visitors can experience a diverse taste of many different cultures. In 1930, the Treasure of Büyükada, which composed of 207 coins belonging to King Phillip II, the father of Alexander the Great was turned out around the Greek Cemetery of the isle. It was sent to the Istanbul Archaeology Museum to add its collection. 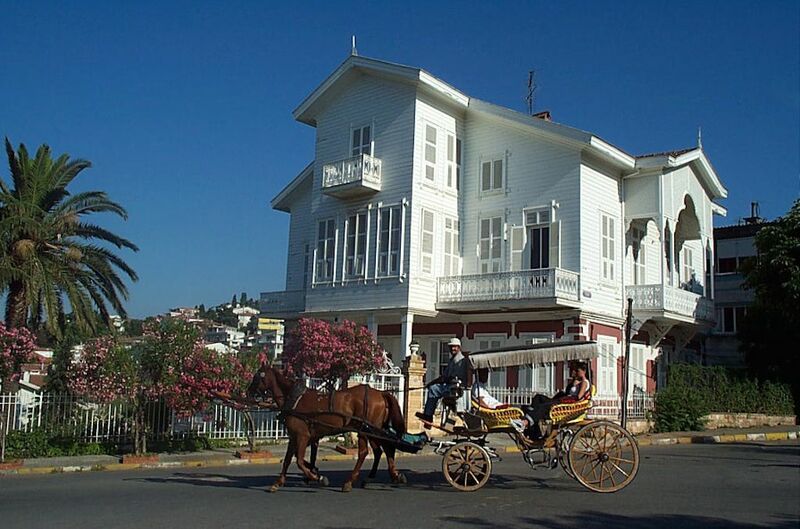 This treasure has a special meaning to reflect the historical richness of Büyükada. 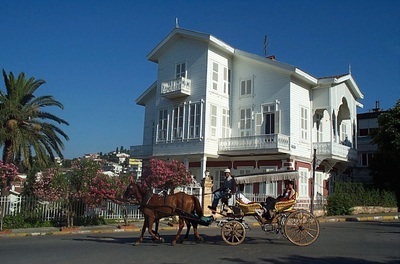 Except for those features, the Büyükada is a popular summer house vacation and hosts daily visitors  from Istanbul, especially during summer time. 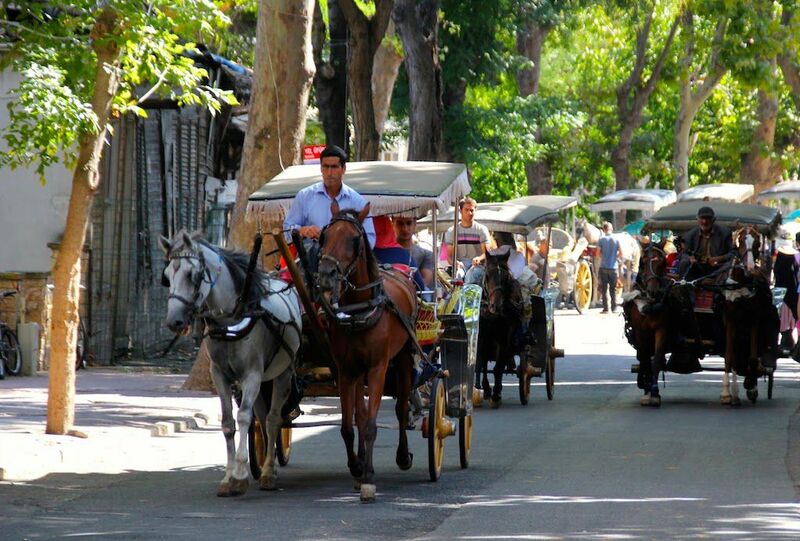 Also it includes phaeton with horse, location of picnic, bicycle touring and little sweet homes. Being second largest ısland after Büyükada, Heybeli Island is 2,7 km in length, 1,2 km in wide and at distance 2,5 mile from Maltepe shores. It takes its name thanks to looking like shape of saddlebag. Located at the center of Princess Islands, magnificent Heybeli Island onlt consisted of fishing town and three pretty monasteries at the beginning. But since in 1946, begun to advance; there were found Halki Seminary (Ruhban Mektebi in Turkish) belonging to Orthodox, Elen Trading College (The first Trading Special College in Turkey), Bahriye School, mansions and residences like Abbas Halim Pasha Mansion. 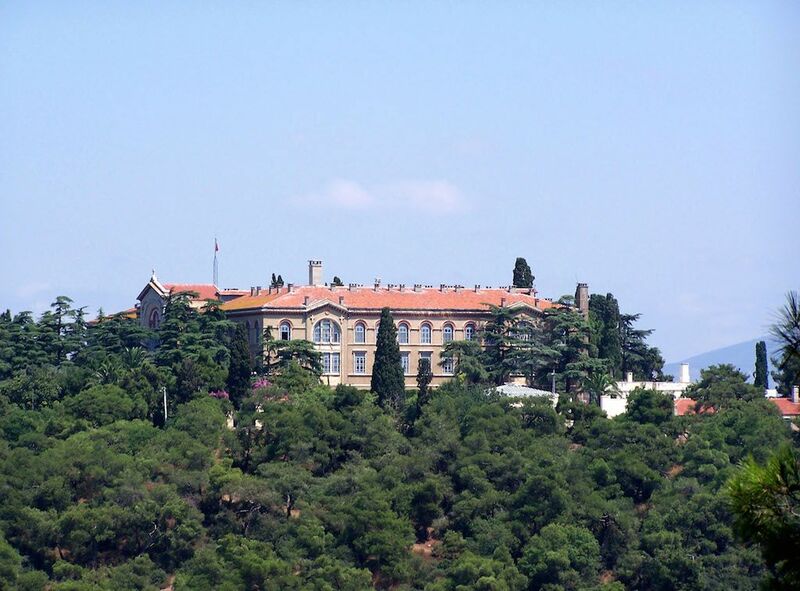 After the announcement of Republic in 1923, there was built Heybeli Island Sanatorium to cure the consumptive people. Also Heybeliada included many various hills such as Degirmen Hill, Tas Ocagi Hill, Ümit Hill which hosted the famed Papaz School, one of the most important structures and Makarios Hill. 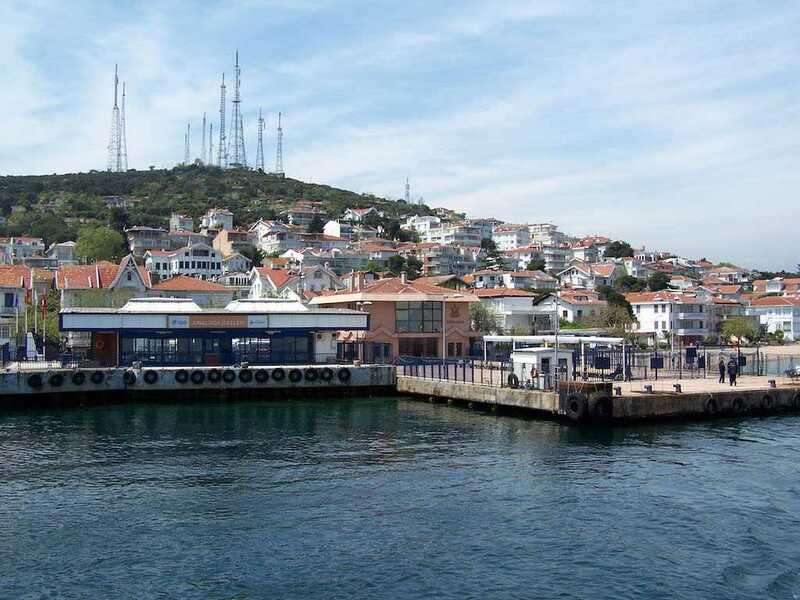 Except for that, the dreamy place contains four charming harbour; they are Bahriye, Mendirek, Degirmen Burnu and Çam Harbours. There are placed many unique abbeys named Terki Dünya, Aya Yorgi Uçurum Monastery (1758) and the famous Virgin Mary Church built the great artist V.Ionnes Palagiloges. Today you can see the horses and sweet donkeys within that fabulous Island. 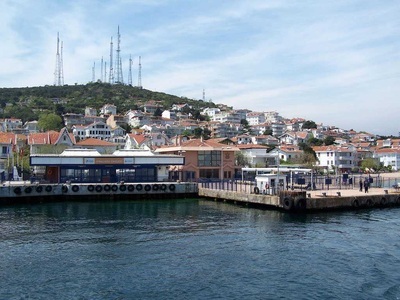 Burgazada is the third biggest of the Princes' Islands in the Marmara Sea around Istanbul. It has a round shape and both the wide and length of the island are approximately 2 kilometers. 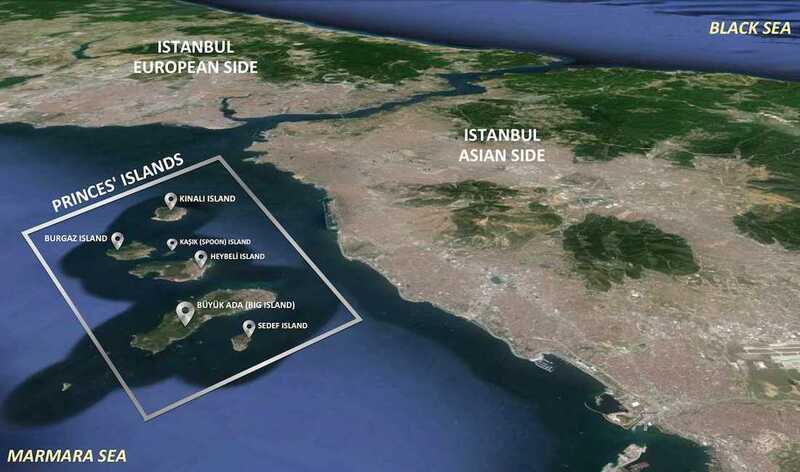 Its distance to the Istanbul harbour is approximately 9 miles, and the costal strip of the Anatolian side of Istanbul is 3 miles. In the 1950s, after Jewish merchants settled in Burgazada, the price of houses increased. 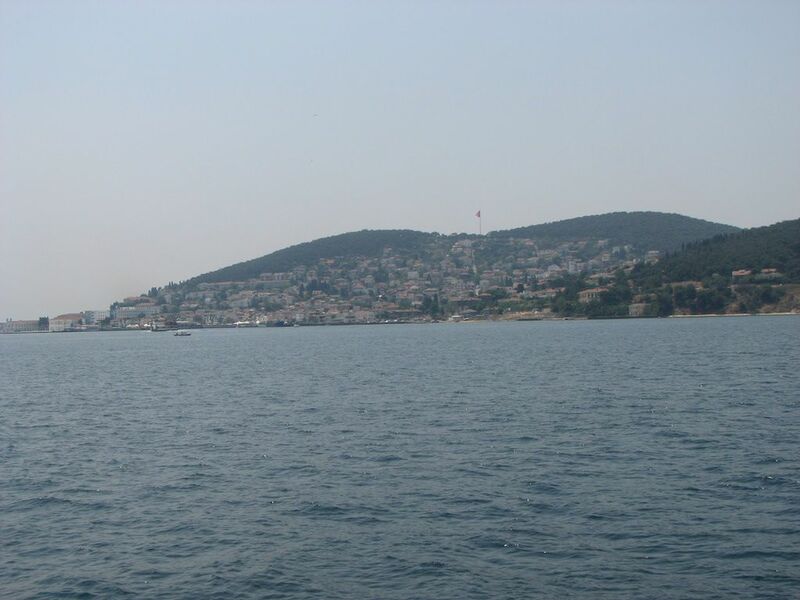 The very rich people who settled here established summer villas and houses along the hillsides above Heybeliada. Additionally, except for those villas, there were built the waterside houses, kiosks and sanctuaries at regular intervals which adds a dreany atmosphere on the island’s architecture. 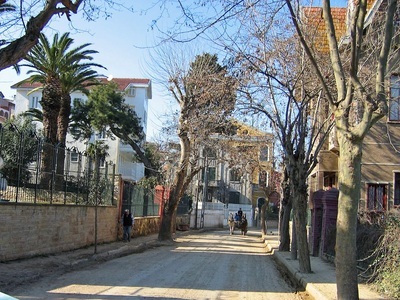 The popular Aya Yani Church which has a special value in the history of Burgazada was found here. Once upon a time, according to a rumor, there is a dungeon located under that church with 11 stairs leading to it and a priest called Methodius stayed in this dungeon and was later appointed as the church’s priest. The Hristos Monastery and the Saint Georges Hospital are also placed on the island. 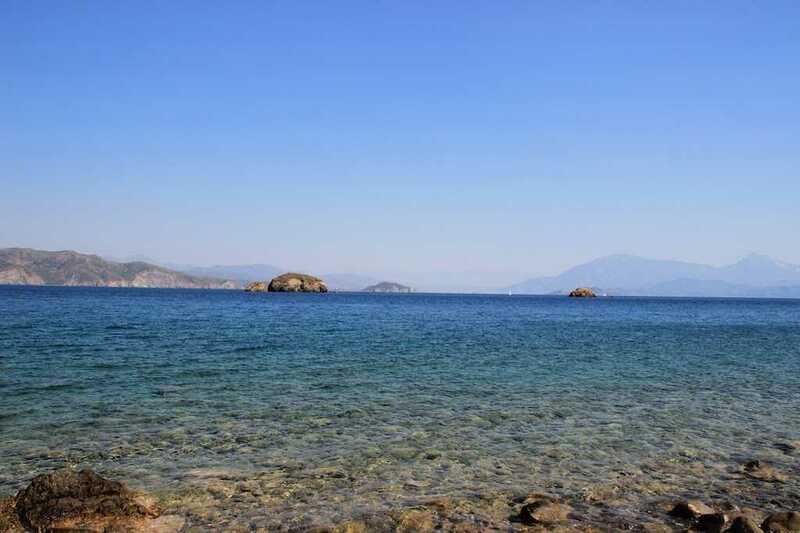 Moreover the fascinating Ayazma (holy spring of Orthodox Greeks ) named Ayios Loanis, is a place attracting the visitors. The Burgazda Sanatorium, one of the first sanatoriums of Istanbul, was built on the island in 1928. 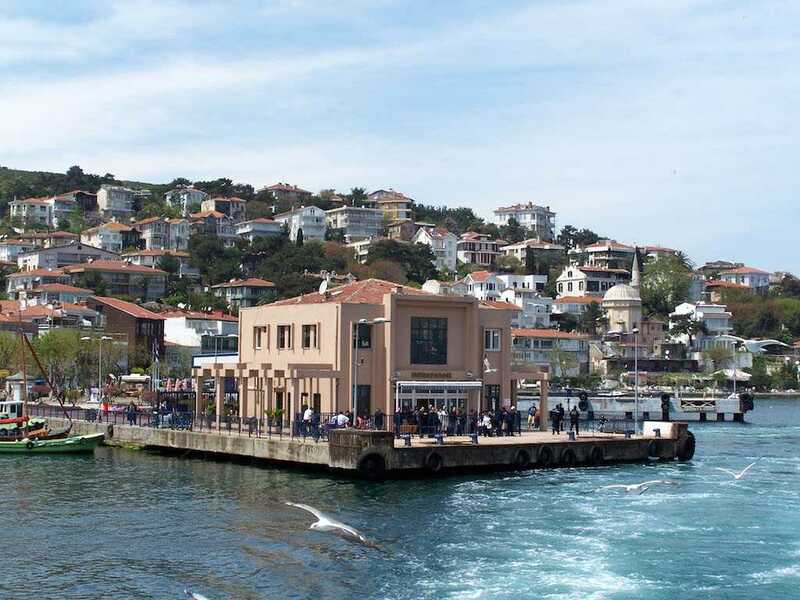 The only mosque of the island is named the Burgazada Mosque built in 1453 (after conquest of Istanbul). Charming people with its green area, that unique ısle contains a single mountain named“Hristos Peak”(old name “Bayrak Peak”). And it showsthe best pictures of the seascape. Mezarlık Cope (Kumbaros Cope) and Kalpazankaya are established in front of the Hristos Monastery and are among the many beauties and natural wonders of the island to be seen by visitors. Evliya Chelebi (1611-1684), the famous 17th centruy Ottoman traveler and writer, defined the island’s castle in his famous book, “Seyahatname,” as being a little castle, foursquared, and situated on an escarpment edge on the seaside. The wide of the island was described to be 10 miles with very fertile land. He also said that along this time, there were 300 houses on the island and all of them had gardens and fresh water wells. Sait Faik Abasıyanık is one of the leading Turkish writers of short stories and the most important figures of the island. 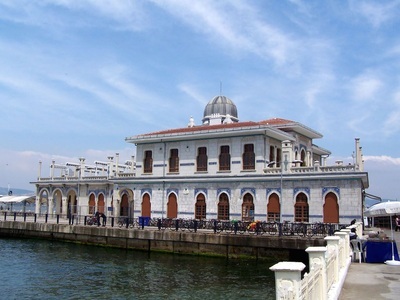 Today, his residence in the island is kept as a museum and his name is also given to the island’s square placed in front of the port. Another significance of Burgazada for Istanbul is that the first private zoo was found on the island. 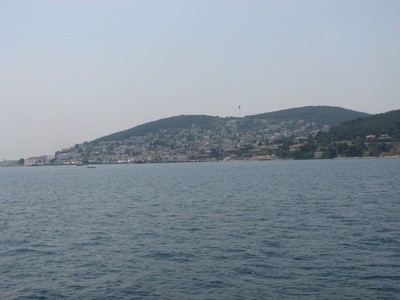 The nearest ısland to Istanbul’s part with the distance of 6,5 miles, Kınalı Island was used as an exile place in Byzantine Era. For example, the famous Rome- Byzantine Emperor Romanos Diogenes IV was exiled here after the Battle of Manzikert in 1071. 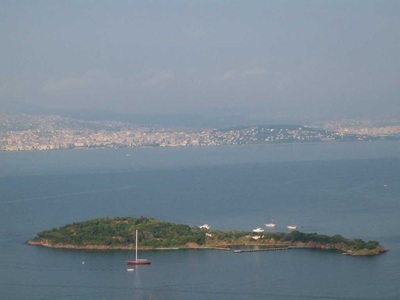 Its colour takes from its reddish soil which is also where the island got its name as “Kınalıada” means "Henna Island." 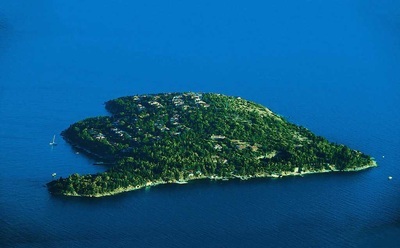 That breath taking isle is approximately 1.5 km in length and 1.1 km in wide. It is the fourth largest of the Princes' Islands in the Marmara Sea. There are placed three large hills on the island. They are Çınar Hill, located on the western side of the island, Tesvikiye Hill (115 meters), established next to Çinar Hill, and Hristo Peak (93 m), on top of which is Hristo Monastery. 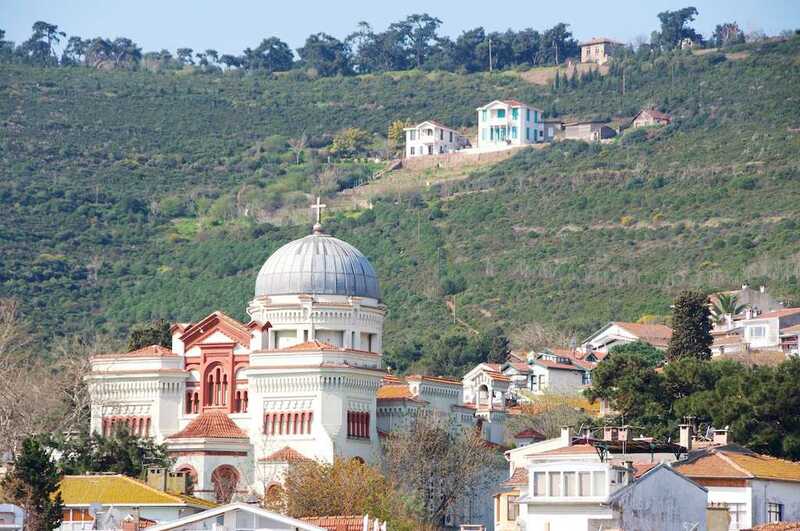 In addition, it contains the first Armenian Church named Surp Krikor Lusavoriç. 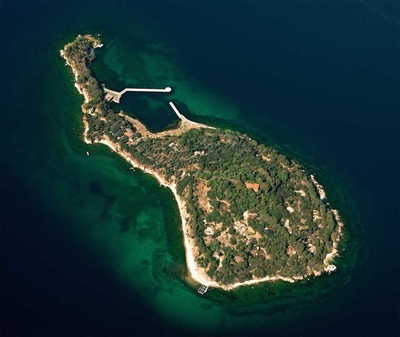 Kasik Adası, (Turkish: Kasik Adası, "Spoon Island") is placed the eastern part of Burgazada. Because that island resembles a spoon lying face-down on a table, it was named as a spoon. 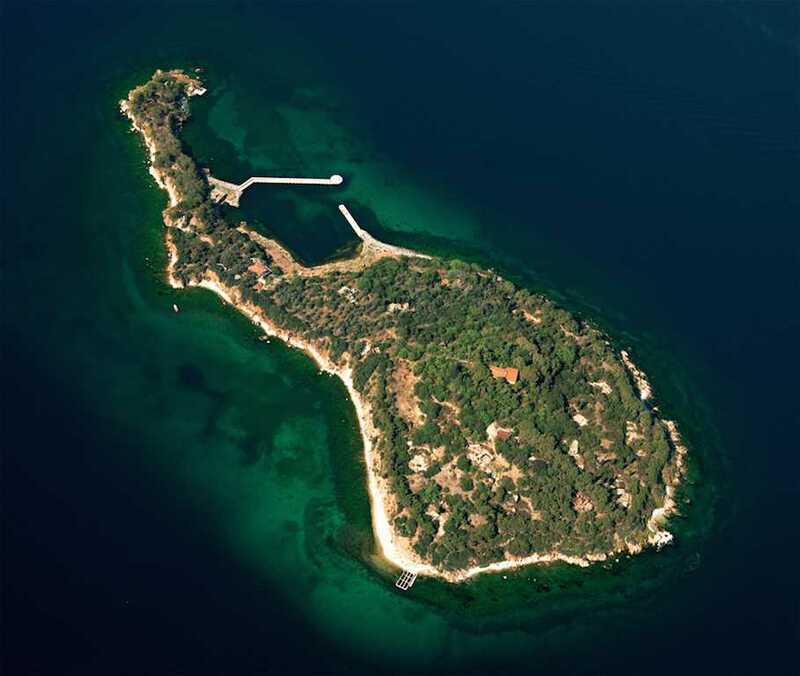 The old name of the island was “Pita Island.” The island is found approximately 600/700 meters away from Heybeliada. 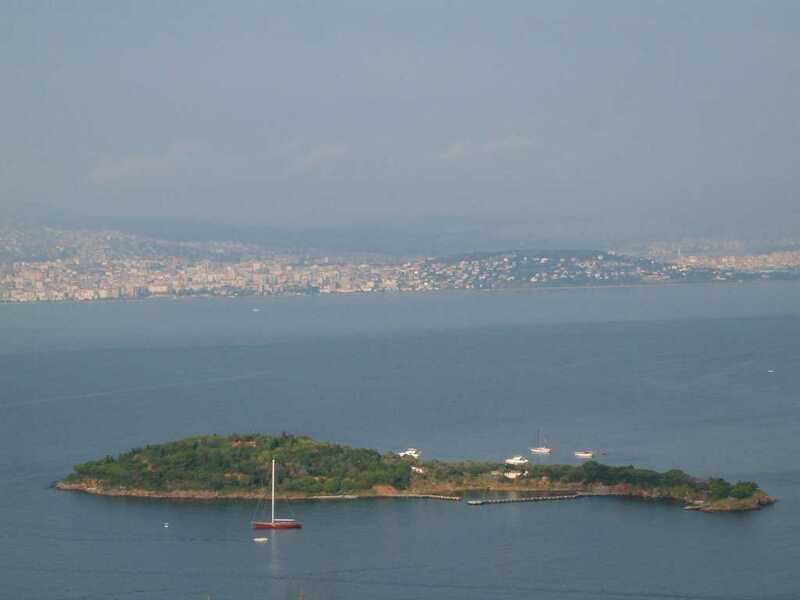 There is no serious location on the isle, only a few buildings and a simple harbour exist. Its wide is a few hundred meters from north to south. Along the Ottoman time,it was not open to settlement and was always used as private property. Since then, it has been owned by a private individual. After the possession of the island passed into the ownership Family, the people of Istanbul wanted to use its beach as a public beach. 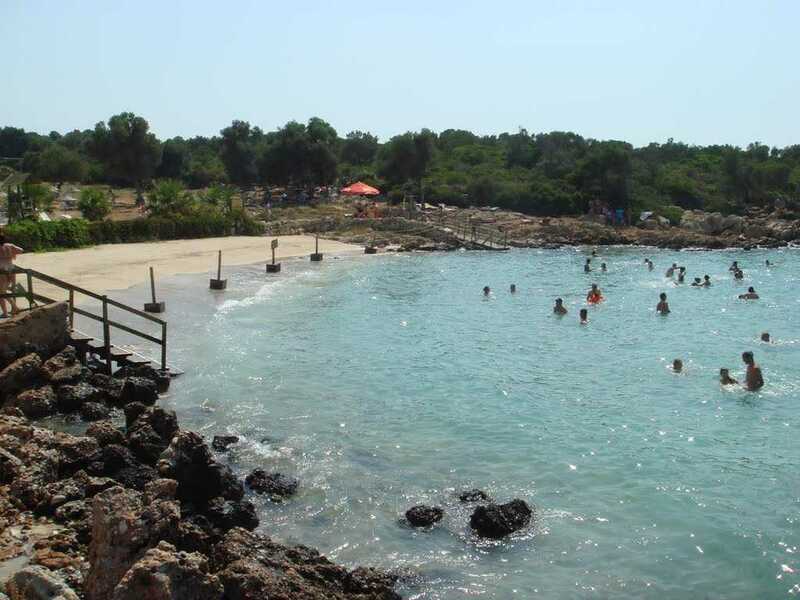 Later, when the Dinckok family got the possession of the island, they estblished a concrete breakwater on the coastline above Burgazada. But extensive struggles to protect the island in that time, the Islanders Fellowship Association took action to prevent settlement from being built on the island to avoid damaging the natural beauty of the island. 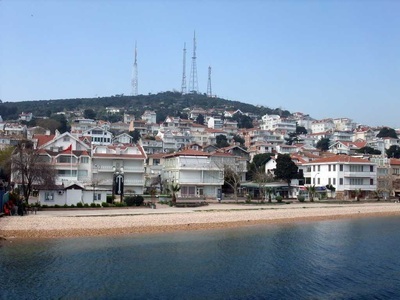 Thus, the Istanbul Metropolitan Municipality got aggressive measures to prohibit illegal housing and to keep the natural beauty of the island.Therefore, that fascinating island is closed to the general public today and has been protected through this action. 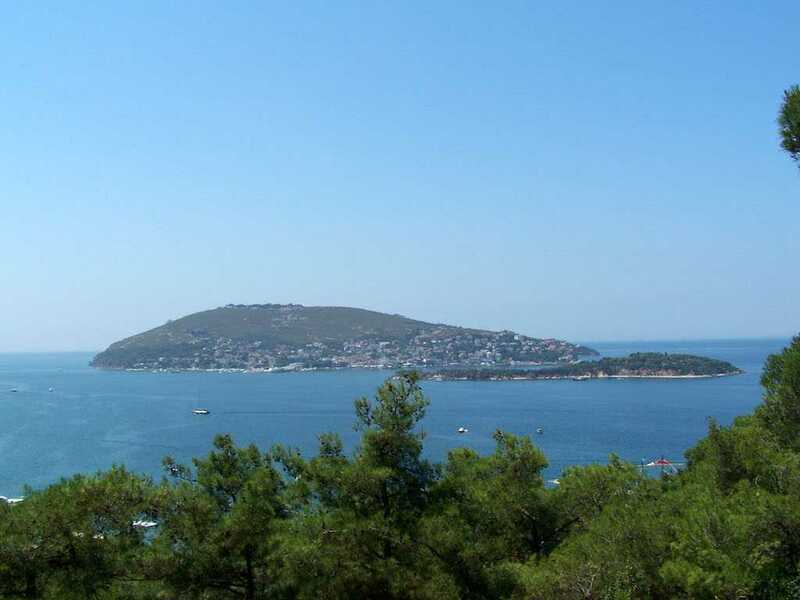 That smalest sweet ısland was named the mother of pearl (sedef in Turkis) because its vegetation looks like it. In the days of old, there was abundance of rabbits because of that it was also called as Rabbit Island or Terebinthos. Once upon a time, it was used as an exile place. For example; in 857 famed Patric ignotios was sent here as a punishment. Today, you can see that dreamy ısland. Maybe you might face to face a cute rabbit.